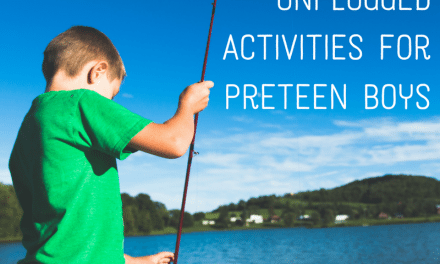 This is a sponsored post in collaboration with Wise King Media, but we only share products and resources we have used with our own families. All opinions are 100% my own. 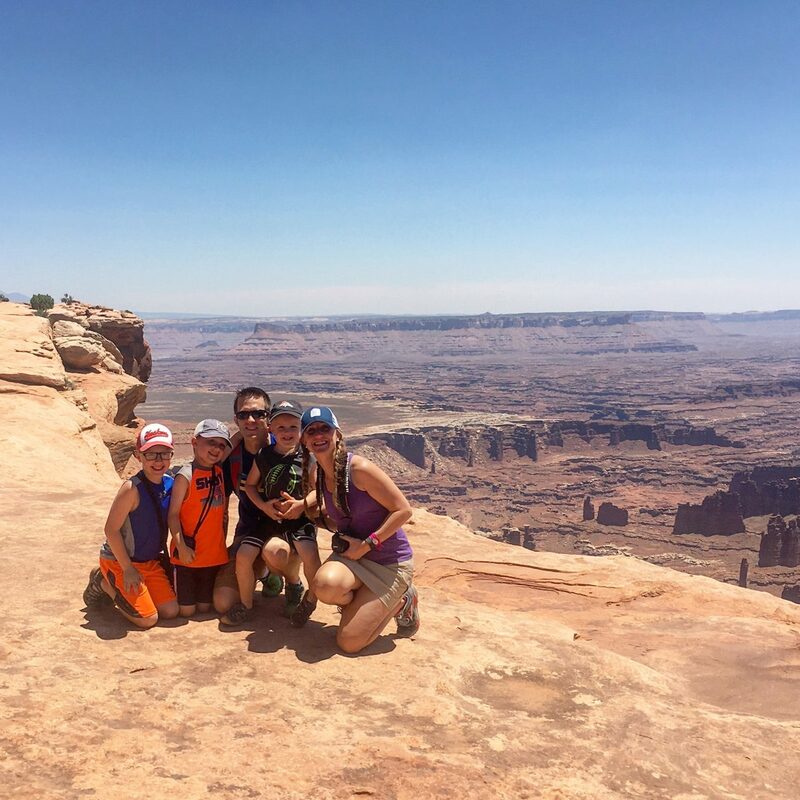 This summer, our family of five took off from Nebraska for an eight-day road trip through the national parks of Utah. We were surrounded by so much breathtaking beauty, but even with great scenery, a lot of time in the car can lead to some pretty restless kids. 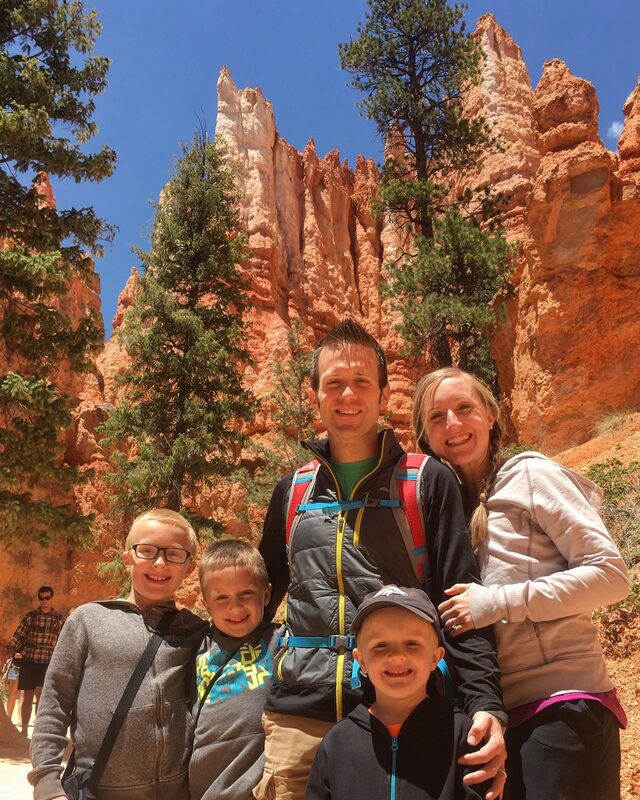 Thankfully, we’ve spent plenty of time road-tripping as a family and have routines in place to break up the journey. One of our go-to activities for combatting boredom is listening to audiobooks, with our family favorite being the Jonathan Park adventures. We shared about these faith-based stories last year and we’re excited to give you an update! If you haven’t heard of the Jonathan Park series, let me fill you in. These audio adventures from Wise King Media tell of exploration, danger, mystery, and most of all, faith. The main goals of the series are to teach kids about the scientific evidence for creation and help them learn to defend their faith with boldness. I have absolutely loved the conversations with our boys that have happened as a result of listening to Jonathan Park. They are fascinated by fossils, so they were drawn in quickly by the original stories, but we’ve discussed creation, talking about faith with friends, sin, and lots more thanks to Jonathan Park. On those long road trips, Jonathan Park stories were the perfect way to entertain the kids while also encouraging them to look at our beautiful surroundings! While all Jonathan Park adventures are suitable for the whole family, the original adventures were geared toward children 6 to 12 years old. We are excited to announce the newest adventures from Wise King Media have arrived and target the teenage crowd! 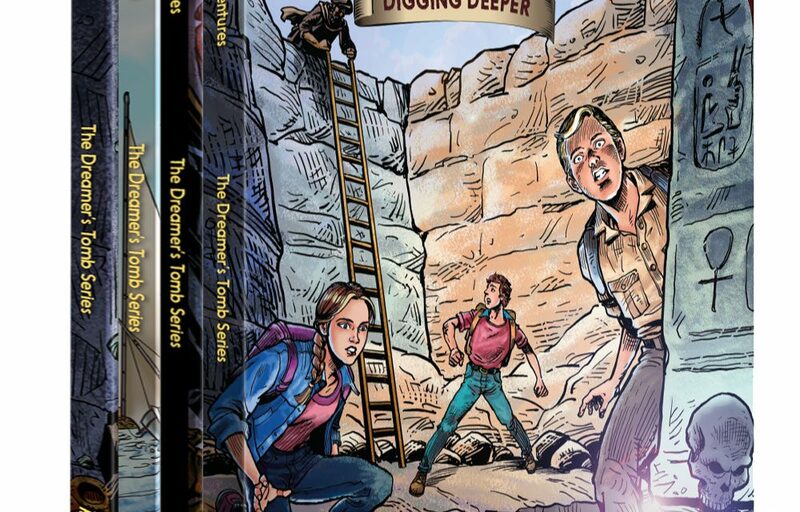 The Dreamer’s Tomb series is Jonathan Park’s latest installment, featuring both a male and female lead and geared toward 12 to 16-year-olds. 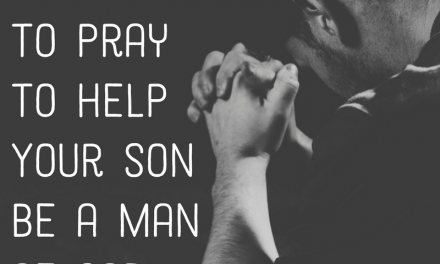 We get asked all the time about resources and products for teens, so this was an answer to prayer! 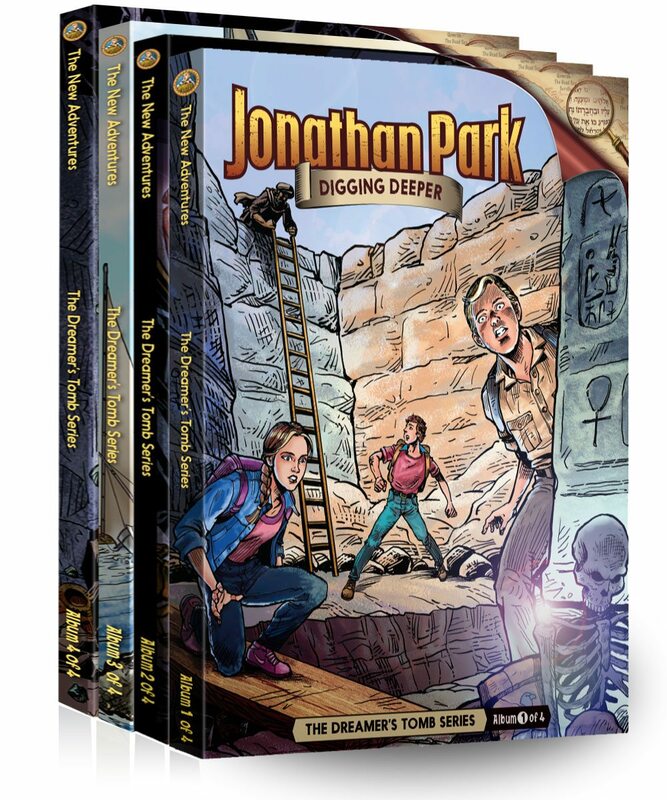 The Dreamer’s Tomb is the first of many series packs for teens, but Jonathan Park also has nine series packs for the 6-12 age range! There really is something for the whole family to learn and enjoy! Are you ready for the best news?! MOB Society readers can get 20% off any series pack—new or original—with the code MOB20 at checkout! Some of the original series packs are already on sale, so you’re getting a huge discount! Grab a few now for upcoming road trips or as stocking stuffers for Christmas! 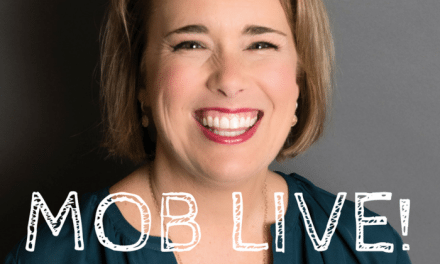 Has your family listened to Jonathan Park? What do you love about it? Is this series available on the audio kindle app as well? They are not available in that form, Christy! Jonathan Park has a digital subscription service, too, where you pay $9.99 a month and have unlimited streaming of all adventures! Do you need to have read the younger series before starting the new Dreamer’s Tomb pack?